Always Fast & Free Shipping – No Minimum! Bamboo is an amazing plant that can grow almost 4 feet a day. 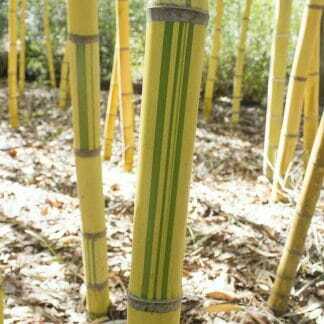 There are many types of bamboo plants that can accommodate a multitude of needs with species ranging from 12 inches to over 75 feet in height and in a variety of colors. Tropical beauty to privacy screens, bamboo is a versatile plant that can be added to any environment. Bamboo is also an easy plant to control once you understand how bamboo grows. Everybody longs for that one of a kind yard or garden that reflects their creative personality. Get away from the same old thing and plant something special in your landscape. We are a family owned bamboo nursery with 20 years of commercial bamboo plant sales. 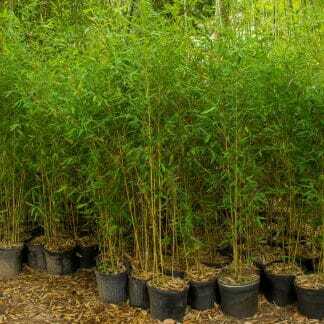 As one of North America’s largest bamboo nursery, we are dedicated to selling excellent bamboo plants & products.